Initial anteroposterior radiograph was considered normal. 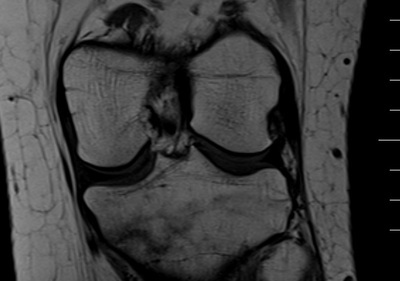 however, subtle cortical disruption of the posterior rim of the medial tibial plateau noted. 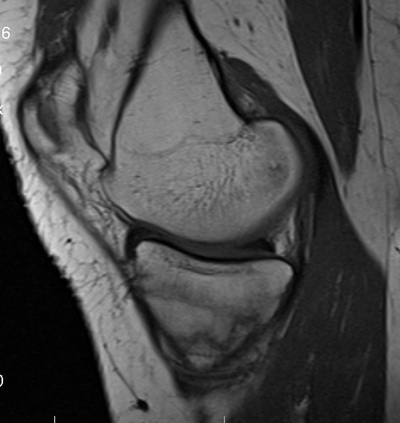 Coronal TIWI MRI clearly depicts the hypointense fracture line traversing the medial tibial plateau . Coronal STIR images shows the hyperintesities, possibly related to edema/ hemorrhage . 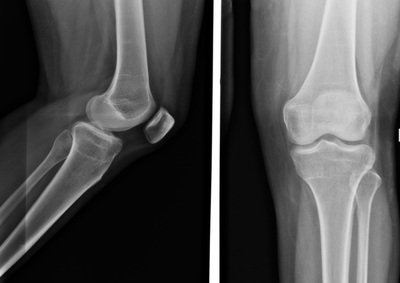 These features are consistent with diagnosis of Occult Fracture of Proximal Tibia. Occult osseous injuries may result from a direct blow to the bone by compressive forces of adjacent bones against one another or by traction forces during an avulsion injury. Lesions in the tibial plateau, hip, ankle, and wrist are often missed Radiography is the first step for detection of fractures. Fat pads should be carefully examined for convexity, which implies joint effusion (e.g., in the hip and elbow joints). Trabecular angulation, impaction lines, and sclerotic bands also suggest fracture in osseous structures with a significant proportion of cancellous bone like proximal femur In a tibial plateau fracture, any disruption of the posterior and anterior cortical rims of the plateau are a definite sign. 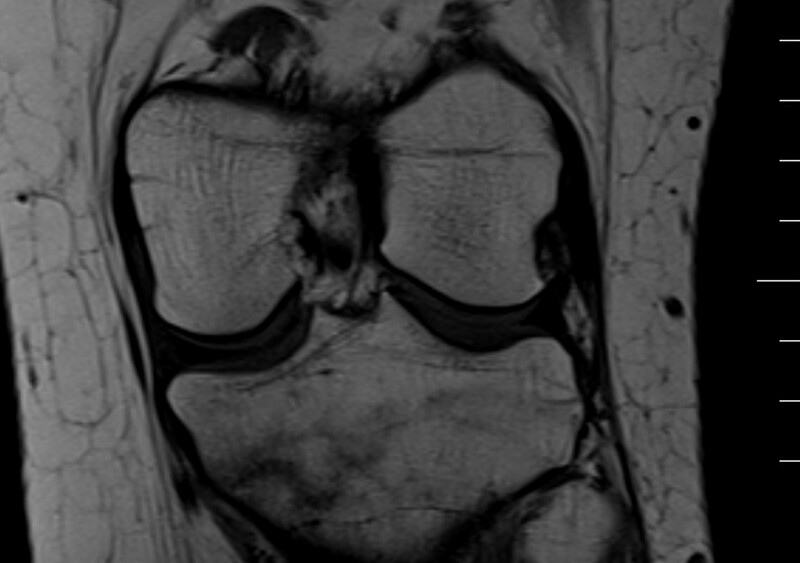 Impaction of subchondral bone will appear as an increased sclerosis of the subchondral bone In metaphyseal areas, delayed signs of fra cture include a band of sclerosis perpendicular to the trabeculae, while diaphyseal fractures may present as periosteal thickening MRI is now considered as the standard for diagnosis of occult fractures . 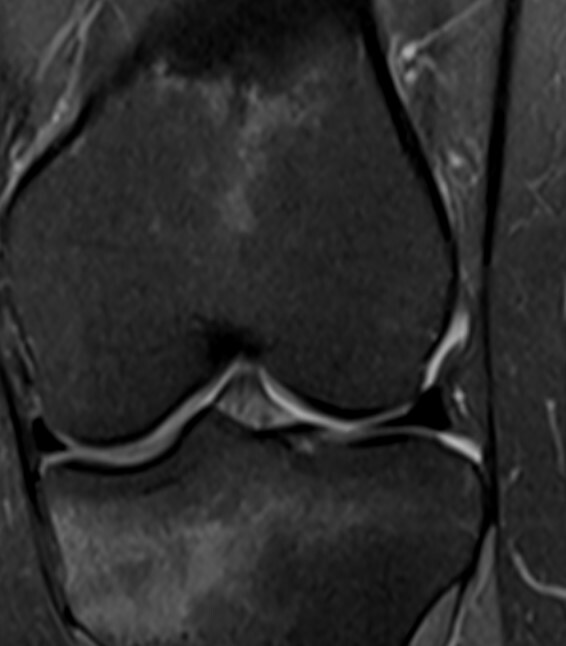 MRI signs of occult fractures are evident several weeks before radiographic signs appear . The MRI findings of occult fracture are : linear hypointensity on T1 W images The associated surrounding bone marrow abnormalities are thought to be a combination of bone marrow edema, intraosseous haemorrhage, and/or granulation tissue.